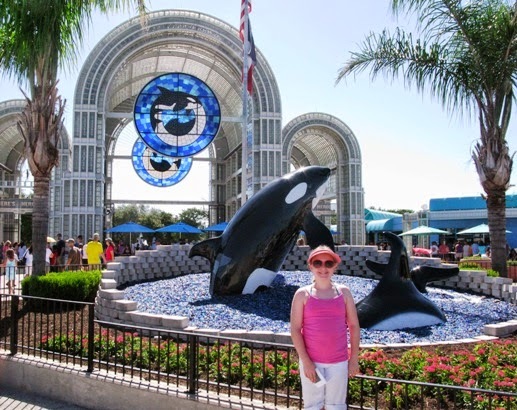 Sea World is fun for children or grandchildren in tow. As families head out for summer vacations, parents often become stressed about traveling with children, especially young children who may have trouble adapting to new places and routines. Spontenaity may be fine for adults, but children generally do better with established routines. 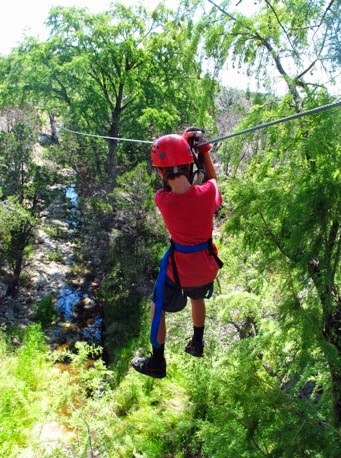 Kids can get tired and cranky when faced with too many unfamiliar changes to their lives. 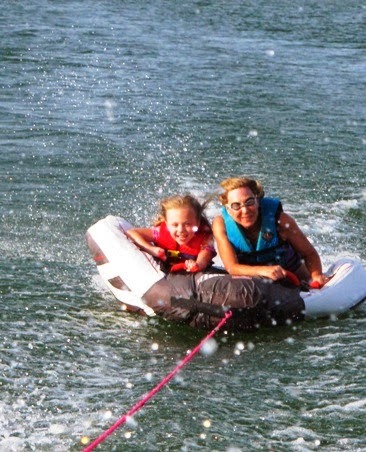 sharing a tube ride on the lake. First of all, relax. Stress is contagious. If you’re stressed, the kids will sense that and become stressed, too. Take plenty of time to plan the trip, organize items to take, and pack carefully so you’ll be able to find things when you need them. Take along a favorite item for each child—a blanket, toy, stuffed animal, or pillow—to ease anxiety when they’re bedding down in a new place--doesn’t matter if it’s a hotel or grandma’s house, clutching something familiar can ease anxiety. 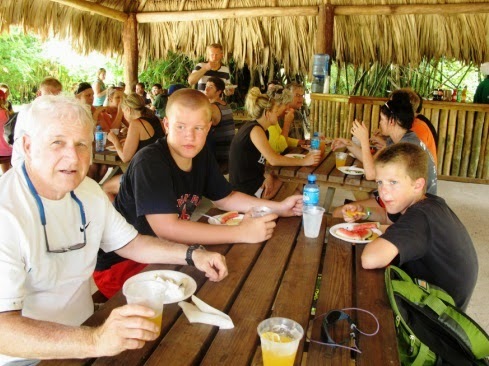 Remember that vacations are about having a good time and bonding as a family. Don’t fret if things don’t go exactly as planned. Be flexible and concentrate on the memories you’re making together. In later years, you’ll be amazed at how much children remember from family trips, and it’s often the small shared moments that make the greatest impact. If unexpected things happen, don’t freak out. Take it in stride if you’re faced with detours or closed attractions. A little humor goes a long way towards keeping situations in perspective. There very well may be rainy days—both literally and figuratively—so have contingent plans in mind. Snacking keeps everyone in a good mood. Have snacks readily available whether you’re traveling by car, plane, train, or boat. Children need to eat more frequently than adults, so a offering quick bite to eat can chase away the grumpies. on vacation provides fun family stories later. Avoid parental stress by budgeting enough funds to carry the family through any minor mishaps that might occur. If you’re worried or distracted because restaurant meals cost more than you anticipated, your kids will sense that and may start to act up. It’s a quick way for any vacation to fall off track. Schedule in plenty of relaxation time; nap time or a regular bed time can be good for both children and adults. Kids may become overly tired if there’s too much stimulation or activity. When that happens, no one has a good time. Head off the melt-down by making sure children get adequate rest and meals at the appropriate times. Lastly, relax. It bears repeating: When parents can chill and enjoy the vacation, anxiety levels drop for everyone and the whole family benefits. Thanks for your tips! It is truly a great and helpful piece of information. Hope everyone who travels here enjoy his trip!